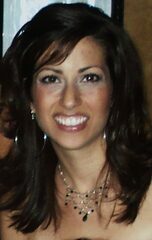 In 1972, in Detroit, Michigan, Adriana was born into a traditional Sicilian family. The youngest of five children, she was raised by her loving parents and older siblings, who soon taught her to treasure their Sicilian heritage and traditions. During her teens, Adriana discovered a passion for writing and was inspired to create a novel. At the tender age of 14, the characters and a plot for a story were fashioned, but the book was not yet finalized. After high school, she picked up her novel again and continued to write, but only for a short while, as ‘life’ took over. Throughout her life, Adriana sought comfort in the Bible and desired a deeper faith. God placed people in her life that helped to strengthen her beliefs. She is thankful that her faith did not waiver, when it was ultimately tested in high school. It was then that she made a choice for Christ. She was unable to shake the yearning and hunger she felt for His Word. In 1998, she wed her husband, Matteo. She began intense weekly Bible studies the first few years of her marriage. Adriana’s faith grew in great measures and suddenly she realized her two passions could be combined.With Matteo's support, she was motivated to incorporate her faith into her writing. Four years, and two children later, she, alas, attempted to finish her novel. Only, her faith and life experiences would reflect in the story. With the help of her husband, who assisted in caring for their two boys, she took the story and transformed it. 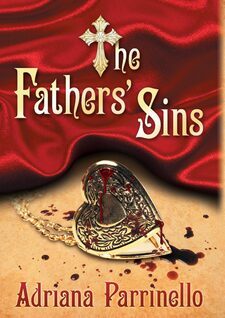 In 2003, she completed her first novel, ‘The Fathers’ Sins’. In 2005, her family grew larger with the birth of their youngest boy. Still, she continued being a homemaker by day and a writer by night. Despite the trials of staying in God’s word, preserving a healthy marriage, raising three boys, caring for elderly parents, and maintaining a house, Adriana was able to complete the second and third novel of the series. The fourth book, the prelude to the first three, is now in the works. With God’s help, she looks forward to sharing these stories. She prays they will encourage and strengthen the faith of those who read them, in these troubling and wearisome times.